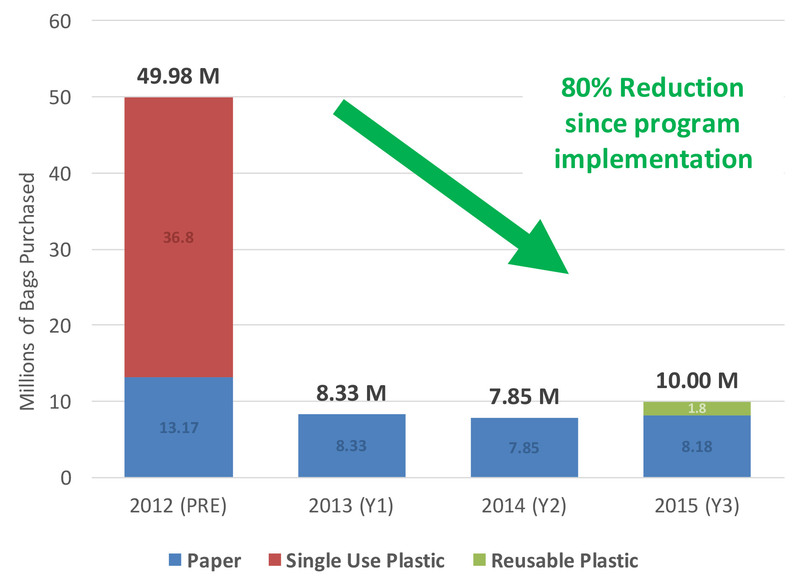 The Alameda County Waste Management Authority adopted the initial Reusable Bag Ordinance in January 2012 to reduce the use of single-use carryout bags and promote the use of reusable bags. Similar ordinances have been passed in San Francisco, San Jose, Los Angeles County, and other communities throughout California. 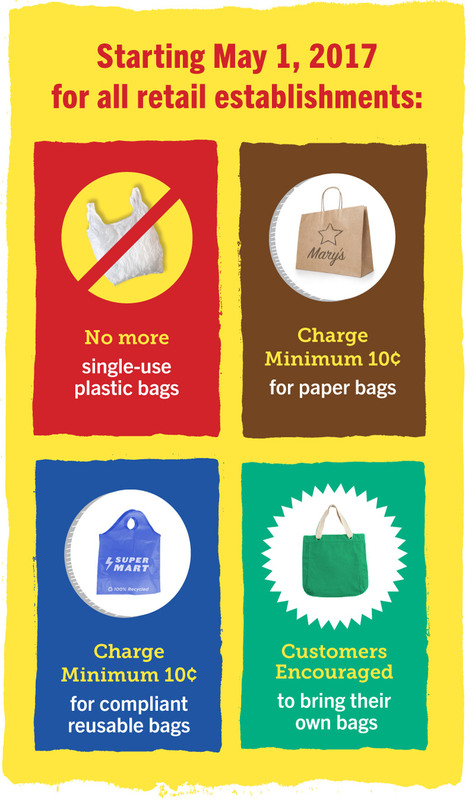 Decrease the number of bags going to landfill. AND/OR alcohol (Type 20 or 21 license) in Alameda County. In October 2016, the Alameda County Waste Management Authority approved an expanded reusable bag ordinance for Alameda County. The expanded ordinance applies to all stores and restaurants in the county, and went into effect on May 1, 2017 for retail stores and November 1, 2017 for restaurants. October 2016: Ordinance adopted by WMA Board. May 2017: Ordinance effective for expanded retail stores. November 2017: Ordinance effective for all restaurants. For additional details, please the Ordinance Overview page. * (12/10/16) Update: No cities chose to opt-out of the expanded ordinance.